Controversial far-right candidate Roy Moore soundly defeated the current senator, Luther Strange, on Tuesday. Three days after Tuesday’s Senate primary in Alabama, the Republican establishment might just now be starting to digest how bad the looming 2018 political season could be. It’s not just Democrats they have to worry about now, but increasingly their emboldened primary challengers. Donald Trump’s trouncing of more than a dozen governors and senators in the 2016 primary was shocking. But next year’s contests could be worse as the losses add up state by state. Even if Republicans do retain control in the Senate next year, a number of incumbents could be knocked out and replaced by Republican antiestablishment iconoclasts who might take some sense of satisfaction from rebelling against the party caucus on important votes, thus creating the same kinds of headaches as their Democratic rivals. Just look what happened in Alabama. Controversial conservative firebrand Roy Moore soundly defeated the current senator, Luther Strange. Strange had the backing of all the establishment money, along with endorsements from everyone from President Trump, to Senate majority leader Mitch McConnell, to the state’s other senator, Richard Shelby. Strange was in favor of all four Obamacare repeal efforts in recent months. Moore said he would have voted against the latest proposal from Republican Senators Lindsey Graham and Bill Cassidy, saying that it did not fully repeal Obamacare. Former Trump strategist Steve Bannon, who campaigned for Moore, said the results in Alabama this week show that this is only the beginning of insurgent conservatives taking on incumbents. He could be right. In Arizona, a recent poll showed incumbent Republican Senator Jeff Flake is losing by double-digits to his opponent, Dr. Kelli Ward, in next year’s Republican primary. For reference on Ward’s style, she suggested the other Arizona senator, fellow Republican John McCain, should resign before he dies in office, given his recent brain cancer diagnosis. In Nevada, moderate Republican Senator Dean Heller just found himself with a primary challenger from the right in Danny Tarkanian. The son of the legendary UNLV men’s basketball coach, Tarkanian has lost five previous bids for office, but it is notable that he won four Republican primaries and is well-known in the state, mainly for taking on the establishment. Even next door to Alabama, in Mississippi, the same sentiment that fueled Moore’s win Tuesday helped a tea party candidate, Chris McDaniel, nearly defeat longtime Republican senator Thad Cochran in 2014. Now McDaniel is making moves to stage a primary challenge against the state’s other senator, Roger Wicker, who has proven to be a reliable vote for McConnell. Adding to this was the news this week that Republican Senator Bob Corker of Tennessee will not seek reelection next year. This is not to suggest that the establishment candidates will all lose. After a few such Republicans lost primaries in the tea party wave of 2010, McConnell and the US Chamber of Commerce fought back against more conservative challengers, holding onto seats in 2012 and 2014. 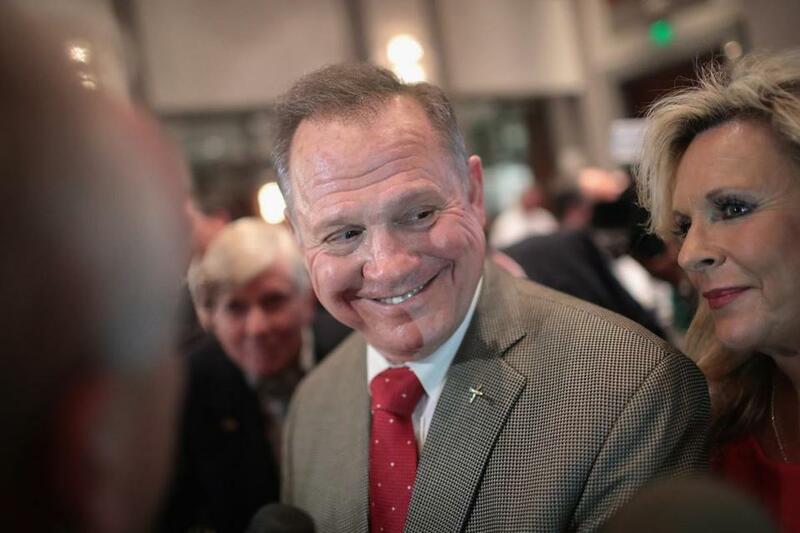 But Trump’s ascendancy to the White House and the fact he has sown even more division inside the party suggests that Alabama’s primary might offer a hint of the momentum to come from the antiestablishment movement as we head into 2018. The good news is that they have months to prepare — zeroing in on issues or arguments that best undercut these challengers. But it’s is important to note just how unusual this kind of intra-party fighting is for a party in power. Generally, it is the party that’s not in control that sees these sorts of primary challenges, as it copes with losses and sorts out a message going forward. That’s going to make it harder to get anything done in a Republican-controlled Congress, as incumbents focus more on the fight at home and the need to please the base. And that creates yet another obstacle for already beleaguered incumbents. If they’re not fixing things in Washington, why should the voters send them back?